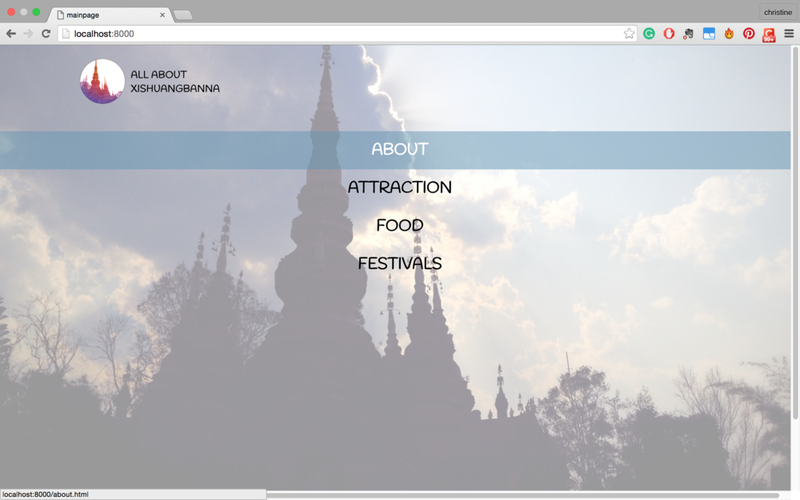 All About Xishuangbanna is a prototype tourist website that I designed and built for my hometown, Xishuangbanna, a small and beautiful town in the southwest of China. 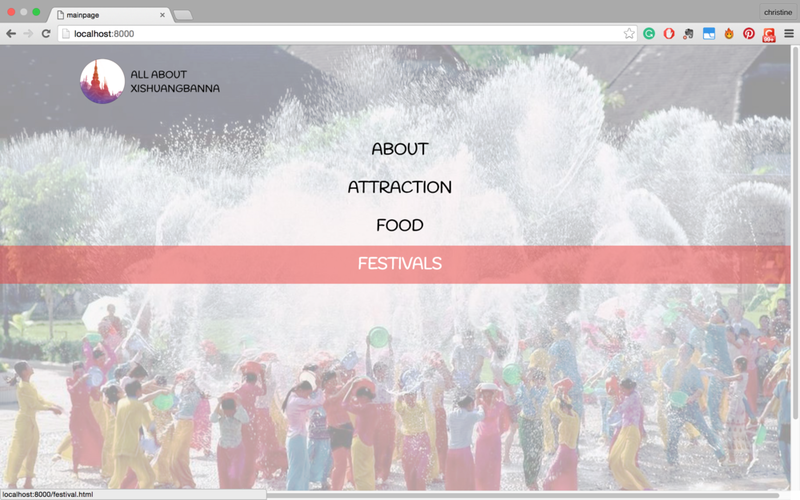 It is a well-known name for tourists in China but it's remote from big cities, there is a unique multi minority culture, which makes it mysterious. 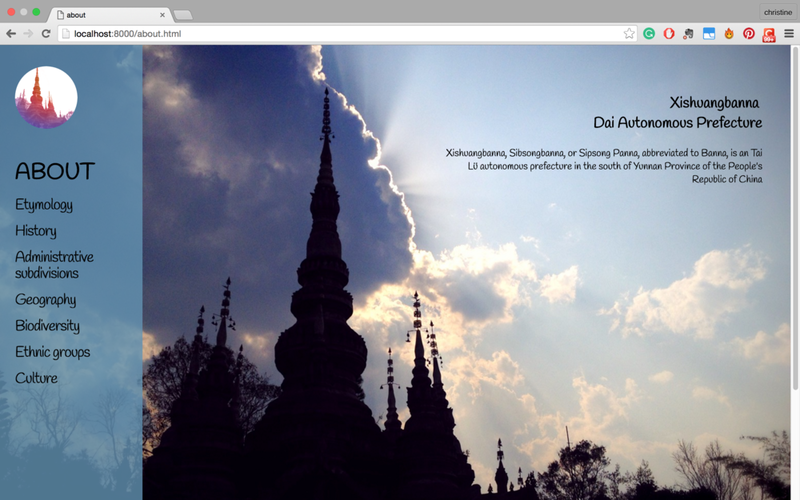 My goal was to show the special things about Xishuangbanna to people who has interest in finding out more about it. 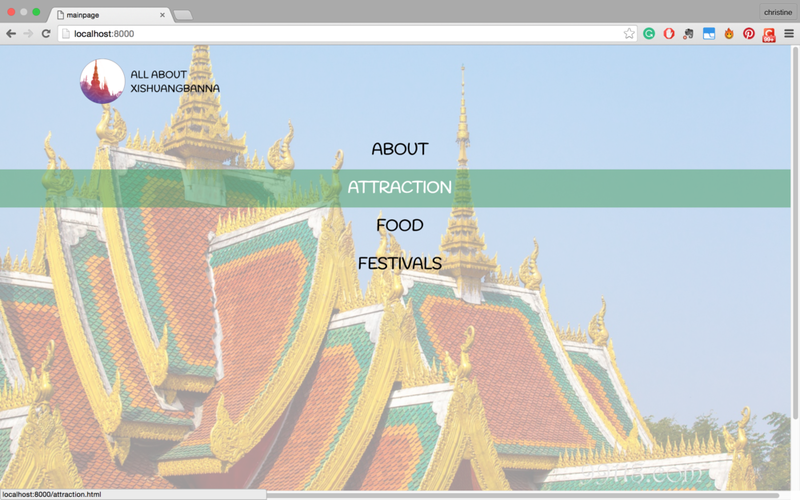 This project was designed and built during 2015 Parsons Bootcamp.